8 solid tips to helping you get started with property investment! Moving soon or know someone who is? Here’s a thorough checklist of all the essential things which one should do prior to moving house. Getting a clear idea of your financial situation and arranging finance ahead of time can save you unncessary headaches later on and let you focus your energies on house hunting. Time for a Finance Review? Not only is it a good time economically to take a look at your financial position, but there are a number of life factors that may make it worthwhile to review your finances. 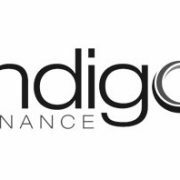 http://www.indigofinance.com.au/wp-content/uploads/2017/03/default-v2.jpg 198 300 wsadmin http://www.indigofinance.com.au/wp-content/uploads/2017/01/indigo-finance-logo.png wsadmin2015-04-08 02:01:002017-03-09 02:41:09Time for a Finance Review? As an exercise, why nont go through the following checklist to identify a potential investment property then contact us to find out how much you could borrow to buy it!